Do you remember why you went vegan? Was it because you are interested in the moral aspects of the diet? (such as the ethical treatment of all animals) Was it because you saw a health benefit of switching to a vegan diet? Or was it because you wanted to switch because you were appalled by the harsh animal testing procedures? No matter what your true reason for this lifestyle change was, there is one thing you have in common with every other vegan diner out there – you don’t want any traces of animal products in your food whatsoever. You see, one of the most important aspects of eating out on a vegan diet, if not the most important aspect, is making sure that your meal is 100% vegan. So, to ensure this meat-free diet carries on to your restaurant experiences, there are a few things you should definitely do before you order your vegan meal. 1. Tell your server that you’re on a vegan diet and have special dietary restrictions. Letting the servers know that you’re a vegan and that you can’t have anything with any animal products whatsoever will them make your dish as vegan-friendly as possible. 2. Double check that your meal is vegan. Even if it has a name that sounds vegan, always double check with the server (or this website 🙂 ) to ensure that it truly is vegan. 3. Make sure there isn’t any hidden non-vegan item in your meal. Butter always seems to be the culprit that always finds a way to sneak into your vegan dish. So always double check with the server (reinforcing tip #1 and #2). By following these tips, you’ll be sure to enjoy a truly vegan meal from whatever restaurant you visit, preferably one of the ones on this list. Okay so with that being said, let’s get to the vegan restaurant menus and options. One of the best things about eating out vegan is that almost every single restaurant tends to have a vegan menu option available. Below, you’ll see a list of all the vegan restaurant menu options that you can check out at over 43 restaurant chains. Salads, vegetable soups, and some many great breads. Get a portobello sandwich without cheese. Or opt for a great soup. Rice and beans without cheese. Get a black bean burger or better, opt for the farmers quinoa veggie patty or portobello mushroom. So many bagel and bread potions. Get a delicious burrito with some modifications (see menu). Fries, salad, and as much lemonade as you can drink. Get a burrito or bowl with rice, beans, and veggies. Fries and a veggie burger. Try the garden vegetable sub without cheese. Get a salad without croutons or cheese. Pair your salad with an Arctic Rush. Falafel, rice pilaf, and hummus. No salads, no full meals, just vegetables and tortillas. Muffins, bagels, and coffee (iced or hot) with soy, almond, or coconut milk. Salads, breads, and some hummus spread. Pinto beans and spanish rice. Get the veggie sub without cheese, mayo and mushrooms. Or opt for a salad. Get some noodles and curry. Get a sandwich without cheese. Garden salad with balsamic vinaigrette. Try the vegetarian sandwich without cheese or mayo. Corn on the cob and house salad. Salad with cheese or chicken. Taco salad without meat, cheese, or sour cream. Asian chopped salad without chicken. Get a burrito or bowl without cheese, sour cream, or meat. Get a pasta or garden salad. Salad or fries. Take your pick. Sandwiches, wraps, salads, and smoothies. A nice selection of noodles and salads. Veggie burttiob bowl or tacos. Get the gluten free pizza crust topped with some meat-free pepperoni. Try one of their tasty vegan pita options. Get a burrito, taco, salad, or burrito bowl with rice beans, veggies, and more. Get a chopped salad or a Veggie Wheat without dressing or cheese. Opt for a salad or fries with no Red Robin seasoning. Garden salad with a plain baked potato. Choose one of their vegan sandwich options, with a few modifications. Get some rice or a veggie yaki soba bowl. Try a cheese-less frat bread. Salads, rolls, breads, or bagels. Take your pick. No burgers, just a salad mins cheese. Chips, garden vegetable soup, and salad. Get a salad with a couple modifications. Try the Veggie Melt on rye or sourdough with a portobello mushroom and no cheese or margarine. Opt for some edamame or stir fry. Get a salad or veggie sandwich on some of their best breads. Opt for some cinnamon twists, a bean burrito without cheese or a veggie cantina burrito without the cilantro dressing. Get the vegetarian burrito or taco shell salad. Try the mexi fries and mexi rice. Get the fruit salad, summer salad, or even a tofu crepe. Get the garden side salad and a plain baked potato. Side salad and crinkle cut fries. Salads and that’s about it. Noodles, pot stickers, and salads. Salads without cheese and croutons. Pizza and pasta without cheese. House salad without cheese and croutons. Some great vegan pasta dishes. Some salads, bruschetta and pastas. Get a huge salad or some great pasta dishes! Meatless fajitas and salads with some veggie sides. Noodle soups, curry, and vegetable entrees with plenty of tofu. Go ham on the salad bar. Pasta and pizza without any cheese. Get the veggie burger with 50/50 fries (normal and sweet potato). No meats (obviously) just sides. Get a salad and a grilled vegetable skewer. Get a tasty pasta dish with marinara. Try the sautéed mushroom burger. House salads and oatmeal. You can even get hash browns along as they’re cooked without butter or PAM. Fries are the best bet. Vegetable sushi rolls, pan asian noodles, and rice. Get a grilled mushroom skewer or a house salad with cheese, bacon, and eggs. So many fresh steamed vegetable options. Thankfully you can enjoy all pasta noodles with tomato basil sauce. Get a pasta with a side of asparagus. Not to many options to cook. Be sure to order eggless pasta. Get an eggless pasta with a salad or baked potato. Most salads and vegetable sides (grilled or steamed). Get a side of tofu. Garden salad with french dressing is pretty good. Lots of salads but a lot of modifications. Take on the salad bar. Thin crust pizza made without cheese or butter. Get the thin crust pizza. Get the vegetable pizza without cheese. Get the thin crust pizza made without eggwash. Original hand tossed pizza with breadsticks. Pizzas with all the veggies. Get the white crust with vegan soy cheese. Thin crust with no cheese. Get a pizza with vegan cheese. Salads and pizzas with red sauce and no cheese. Get the gluten free crust with vegan cheese. Or better, get the vegan pizza! Original pretzels without butter long with some great flavored ones like cinnamon and garlic. Sorbet, blast pars, and fruit blast drinks. Enjoy black coffee, espresso and other cold or hot beverages with soy milk. Italian ice without the swirl. Fruit sorbets and some delicious mix-ins. Hot and iced coffee/espresso beverages with soy milk. Sorbets will be your best friend. So many smoothies and drinks. A few vegan smoothie and juice options. Bagels and coffee with coconut or soy milk. Rolls, bagels, and more rolls. I really do hope that you enjoyed this awesome listing of vegan restaurant chains and menu options! 1. What’s your favorite vegan restaurant chain? 2. Is there a vegan restaurant menu that you don’t see above but would like to see on the site soon? Just let us know by leaving a comment below. Thanks for reading and please be sure to share this post with any vegan whom you know will absolutely love this. Thanks for this list. I would add the Zpizza chain, which has its Berkeley Vegan pizza. get the app VeganXpress, shows you Zpizza. ZPizza’s ZMars is even better than the Berkeley. Le Pan Quotidian has several vegan options clearly marked on their menu. Dogs are not supposed to be vegan. That’s actually dangerous. 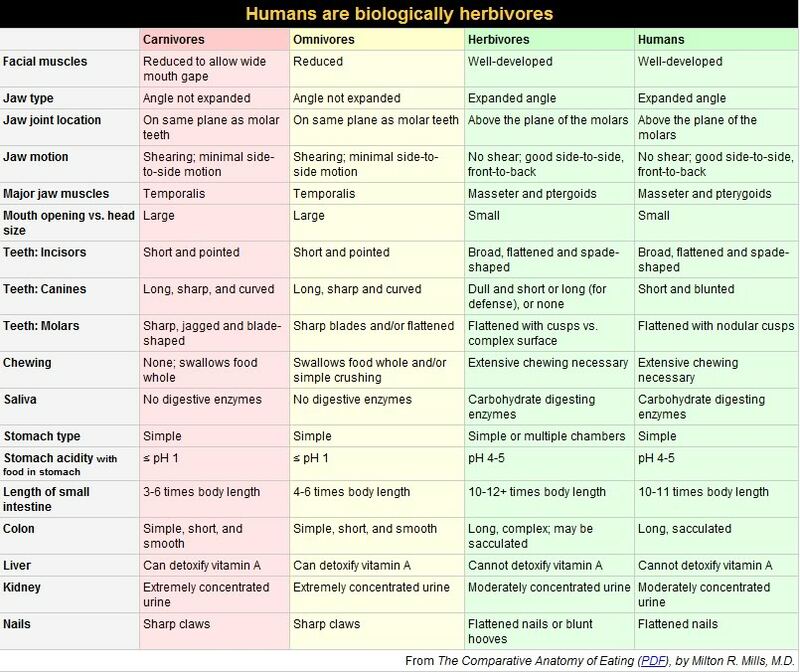 Dogs are omnivores just like humans. Its perfectly safe for them to be vegan. There have been good commercial brand vegan dog foods on the market for years, get over your carnistic attitude Lonny! My dogs have all done quite well ! It’s CATS that can not be vegan. My mother and I have several animals that live on vegan diets and have been for 6 years now. True! I have the email from Macaroni Grill to prove it. I quote: “NOTHING at our restaurant is vegetarian”. I asked if they meant that nothing was vegan, and they responded again, that nothing was VEGETARIAN”. Scary. I thought Wendy’s fries are vegan but they aren’t listed. Any idea? I am wondering the same thing! I eat them fairly regularly and really hope they are vegan. Check w/ each Wendy’s franchise that you visit – many have a separate station for their French fry fryers – only fries are fried in these fryers. This station is usually near the drive-thru window area. Phew, that’s a lot of ‘f’ words in one sentence! Wendy’s fries are cooked in the same oil as the fish and other non-vegan deep fried foods. It depends on how strict of a vegan you are and for what reasons. Wendy’s fries do not contain any sort of creepy beef powder (like Bojangles and McDonald’s fries do), but they are cooked in the same oil as some of their meats (Arby’s fries are, as well). The way I see it, you aren’t directly contributing to anything non-vegan. You aren’t using your power (your money) to fund any animal exploitation, so the fries can be considered vegan. However, if you’re really, really against having anything at all similar to animal products in your body, you might want to pass on them. I had Wendy’s fries once, and got sick to my stomach. I looked on their website, and saw they had animal ingredients listed. Same with McDonald’s. It may be different for each restaurant/region, but that’s how it is here. Many of the Pizza Factory’s have a new Vegan, gluten free, soy free crust now too… Yum…Pizza Factory. Some of these listings are a stretch! Red Robin actually has a vegan burger, I choose to get a lettuce bun instead of bread to cut down on salt. 🙂 and I get “bottomless” broccoli instead of fries. Haha. The Mellow Mushroom (NC Triangle area) has been using Daiya cheese. Macaroni Grill lets you make your own pasta combos. I was told that Macaroni Grill puts chicken stock in all their red sauces. True, false? Wow, I never heard that! I don’t know. Loving hut is wonderful. Another one is Blossom. I am not sure how many locations there are, there is one in rent on WA (Seattle area). Also in the Seattle area is Chaco Canyon. The are a little pricey but have excellent choices for vegan and raw food. Hi, I don’t understand why you have many things listed as vegan that are generally not thought to be vegan, like the Subway breads (except white), and one restaurant had honey-roasted something, clearly not vegan. And Pei Wei (while wonderful!) puts honey in the teriyaki, so that is not vegan either. Also, can you add TCBY’s new almond and coconut based frozen yogurts? They are supposed to be vegan! I don’t eat much fast food, and I do a lot of cooking and eating at other vegan and conventional restaurants (always choosing vegan menu items), but this is good to know for people who may be traveling, or who don’t live near a big city. As most sugar today is whitened with bone char, and sugar is in everything, I doubt if most of the dishes listed here are vegan. Taco Bell’s Veggie Cantina Bowl I thought was vegan. I also like Moe’s Southwest Grill. You are missing ZPizza which has the very best vegan pizza – they have the Berkely Vegan, for example, on the printed menu and the ZMars which is the most amazing pizza on their unprinted menu. The very best vegan chain is the small Vegan Joint chain in the Los Angeles area. Of course you should also list the Veggie Grill, Native Foods, and Loving Hut vegan chains. I’m waiting till the open a Native Foods in Kansas City, they are opening 200 restaurants this year, fingers crossed! Papa John’s Garlic Butter sauce is also vegan, so it is good to eat with plain breadsticks. Though they’re not the same delievery-type pizza services, I think both Brixx and Mellow Mushroom should be added. Mellow Mushroom has daiya and also has tempeh and tofu that can be marinated several different vegan ways. The hummus at both restaurants is also vegan. Also, Burger King’s apple pie. I have personally confirmed that all of its ingredients (preservatives) are vegan. I thought the cheeseburgers at Burger King were vegan. Why aren’t they on the list? There is egg in them. Oh yeah, I forgot about that. Thanks. The ‘cheeseburgers’ ?? Oh Sarge…. Reggae Shack in Gainesville, Florida. While not a vegan restaurant, they do have a HUGE selection that is completely vegan, including cakes. Spiral Diner, not technically a chain since its only located in Fort Worth and Dallas, is 100% vegan. They have a little bit of everything and have the most delicious food I have ever had! The longest living dog in the Guiness Book of World Records was vegan. She lived to the age of 24. I own a veterinary hospital and would love to find out more about this. Do you have any resources you could provide to the readers? I am very interested. Thank you . I love Spiral Diner too!!! Jason’s Deli. Hubbly Bubbly Falafel Shop. Panda Express. Tijuana Flats. Johnny Rockets. Buca di Beppo. Italio (only in FL so far). Hello Bryan – you said “So, to ensure this meat-free diet carries on to your restaurant experiences, …” and that sentence needs to be corrected, as a vegan diet is not just a meat-free diet (that is vegetarian diet more accurately that you are saying when you say meat-free) you need to say animal-product free. I would not eat in any of the above restaurants and I bet I’m not the only vegan that feels that way. Ewww – I’ve been vegan for 35 years and wouldn’t step foot in any of those animal exploiting establishments. dWhat about Taco Bell? Is their Bean Burrito (minus cheese) vegan? If you are vegan for animal rights moral reasons. Don’t eat at Burger King ! Haha. Wrong and naive thinking IMHO. Crawl then walk. If we support the vegetarian/vegan options at restaurants, then they will offer more and more of them. They are interested in money–not animal rights. So play the game. When everyone boycotted the vegan chicken sandwich at KFC (a HUGE concession on KFC’s part) they stopped carrying it. Had people bought it I guarantee that KFC would have expanded their vegan menu, and who knows–eventually start reducing the meat options. So, some of these aren’t actually vegan. For example, the guacamole at Taco Bell has milk in it I recently discovered. Also the bread from Jimmy John’s has L-cysteine in it, which is from a bird’s feathers. I think there needs to be some more digging before it’s labeled Vegan. Chipotle has many vegan options. Try the vegan sofritas if you’re lucky enough to live near a Chipotle that carries it! Claim Jumper? The have a new vegetarian menu . I went to Qdoba this evening. I was really impressed with the vegan options. They didn’t give me a funny look when I asked for a vegan burrito. I loaded it with beans, rice, veggies, guacamole and sauce. It was yummy… Made me very happy. Thanks for your efforts. Some people are so negative. The list may not be perfect but it gives us some good options for when we are on the go. Keep up the good work! If your ever find yourself in Rhode Island, head to providence for the day. There are so many vegan friendly restaurants, cafes and bakery’s. My favorite, is Nice Slice pizzeria on Thayer st. The pizza there is delicious, they offer various pizzas in vegan and non-vegan. I’ve had the best buffalo & barbaque pizza there. It also is owned by one of the most famous street artists, the area is a huge tourist spot, and caters toward the vegan lifestyle. Try it out! Uncle Maddios Pizza! Its a build your own kind of chain much like Moe’s or Chipotle, but pizza! Their basic dough and sauces are vegan and they carry daiya and tons of veggies for toppings. Its great! Check out “Your Pie” locations in Florida. They have Daiya vegan cheese and tofu, I love it! Thanks for the time you put into this list! This is great! I’ve passed it on to my groups! The fries at Del Taco are vegan and you can get the 8 layer veggie burrito with no sour cream, cheese, or rice! Add Papa Murphy’s to the pizza list. The regular dough is vegan as well as the red sauce and olive oil and gatlic, just skip cheese and any meat. As a side note I work there. one veg world 100% vegan with 2 location west covina and pasadena in CA. In Roseville, CA, Green Boheme and Baagan are both excellent Organic, Vegan restaurants. Green Boheme is raw vegan. In Auburn, CA, Nectar Cafe is excellent – Organic, Vegan options (they have non-vegan as well). Where the hell is McDonalds! Pointless site without it really. Would not recommend. Miguels jr in California. Bean and rice is vegan. The Apple Pie at McDonalds is vegan. That’s it. The point of this site is to show vegan options where its not obvious so like if your starving and you dont have a lot of options at the moment, you can check this site. Adding vegan restaurants would be silly. You dont need to consult the internet to find out what vegan options “loving hut” has to offer. Thanks for posting this! I prefer to eat vegan but sometimes i just dont want to advertise it and end up just gettin stuff that seems vegan. Ill be back on this page for sure! Thanks! How accurate are is this with the food they make? I was curious if these lists are kept up to date and take into consideration things like shared frying oil and other ways that cross contaminate vegan food? How about enzymes, natural flavors, carmine coloring, etc.etc? Mellow Mushroom would be a great addition to the pizzas. Tons of vegan variations!